When a horrific fire broke out in a Honduran prison on Tuesday night, the 350-plus inmates trapped in the blaze received what was tantamount to their de facto death sentences. While the blaze in this particular case seemed to be caused by a mattress purposely lit on fire, it was a catastrophe long in the waiting, and could have been just as well witnessed in scores of prisons throughout Honduras, or in the rest of Central America. The facility that went up in flames was located in the town of Comayagua, just north of the capital city of Tegucigalpa. According to numerous eye witnesses, the gruesome scene was pierced by screams from dozens of inmates who were trapped behind bars while security guards fumbled in search of the keys. Local firefighters reported that about a hundred prisoners burned to death or suffocated in their cells. 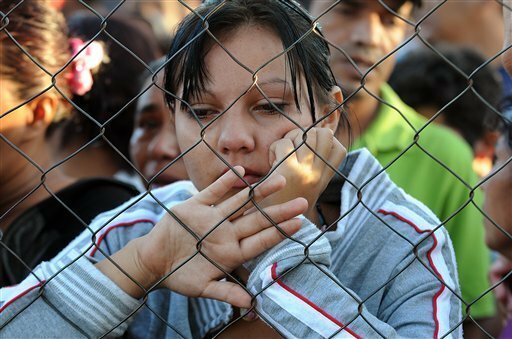 This prison fire has not been the first to occur in the Central American country. In 2004, more than a hundred incarcerated gang members were also killed in a jail blaze, while in 2003, a fire in a nearby facility killed another seventy gang members. Prison riots, fires, and other deadly episodes have plagued the country dating back to 1994 when one particularly ghastly fire broke out in an overcrowded prison and took the lives of 103 inmates. This dilemma seemed to not only affect Honduras, but generated a good deal of outrage throughout Central America as well as elsewhere in much of the region. COHA Research Fellow W. Alex Sanchez was interviewed yesterday on the Honduran incendiary calamity by Telemundo in which he dealt with cases of prison riots and fires dating back to 2010. In that incident, a fire that broke out in a prison in El Salvador killed sixteen prisoners and left twenty-two injured. Latin American prisons, like those in Honduras, are inevitably congested, grimy, and wretchedly equipped with a serious lack in security equipment, ammunition, uniforms and trained manpower to control and guard the facilities from troublemakers. For example, prisons in Honduras that were designed for approximately 6,000 inmates today hold more than double that (12,500). Also, according to a prison administrator’s figures, a Venezuelan prison known as “La Planta” was built for 350 prisoners, but now holds an alarming 2,436 people. It has been established that many incarcerated criminals throughout the region, particularly in Honduras, are habitually forced to sleep on the floor in filthy conditions. 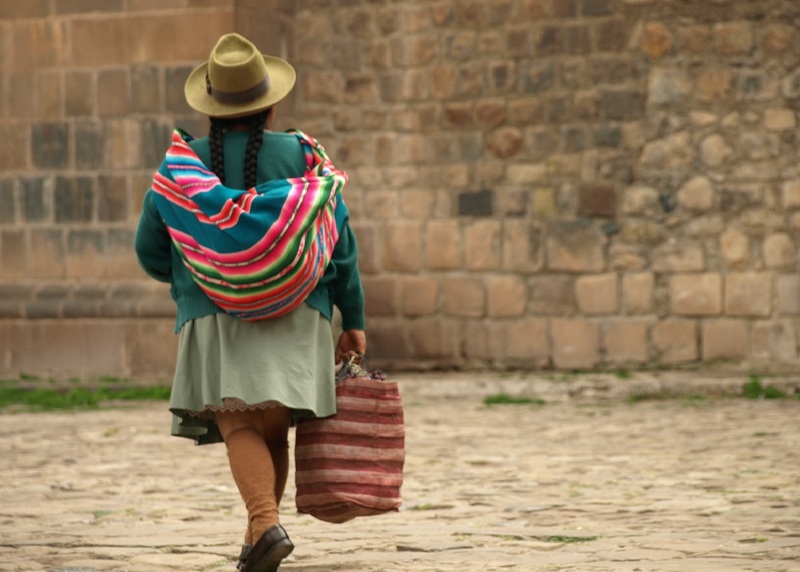 Despite the financial boom that several countries like Brazil and Peru have enjoyed throughout the past decade, much of Latin America is still severely impoverished, where regional governments have to deal with extremely limited financial resources. Low priorities, as a result, are routinely awarded to social sector development projects such as infrastructure, and the grossly inadequate construction of schools and hospitals. Prisons are therefore pushed to the back of the list due to the penal system’s weak lobbying position. Along with failing schools and hospitals, violence is increasing and living conditions found in such facilities are abysmal. With riots and fires occurring with grim regularity, hundreds of once incarcerated criminals now roam the streets, adding to the security threat affecting citizens. Such incidents have been occurring for decades, in which thousands of the incarcerated are losing their lives and where justice is rarely blind, but sadly predictable. On the bright side, however, countries like Peru have decided to shift their focus to tackle the problem of unsafe prisons. For instance, the Peruvian government has decided to grant USD 12 million to Peru’s National Penitentiary Institute (INPE) in order to help improve the maintenance in five of the country’s most troubled jails, after the country experienced a particularly costly prison calamity. The inhumane conditions in many Honduran prisons can be seen as a symptom of a larger social crisis in a country that the United Nations in 2010 labeled as the murder capital of the world. 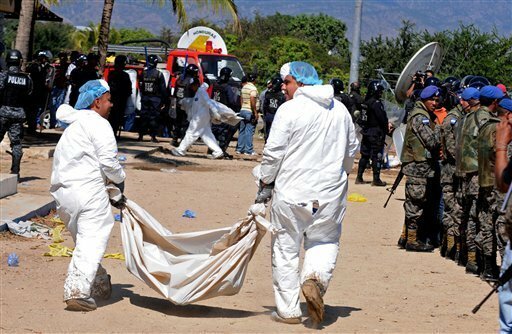 The New York Times recently reported on a UN study where the Central American was nation was stated to be home to the world’s highest murder rate of “82.1 per 100,000 residents, far ahead of the worldwide rate of 6.9.” Rampant rates of violence and crime are inevitably the results of a broken political system. Government institutions are still trying to recover from a 2009 coup, where a largely corrupt police force has become a generous contributor to the murder rate and the sense of lawlessness throughout the country, and where organized crime dominates much of society. Poorly maintained and over-crowded prisons are only the tip of the iceberg when it comes to the key issues plaguing Honduras, and the surrounding region. The only possible silver lining to Tuesday night’s hellish scene is that it may now add to the growing evidence of the unacceptable and perilous state of Honduran prisons today.